Like Smorgasburg, except better. 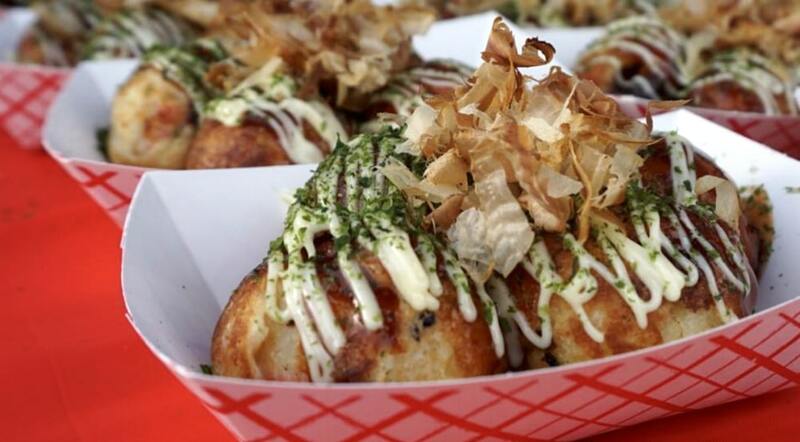 The Queens Night Market, now in its fifth season, will finally return this weekend! One of the best parts about spring is the abundance of outdoor markets and food trucks, and the Queens International Night Market is just one of those awesome events. Last year, the event averaged over 10,000 attendees each Saturday night and this year is expected to be just as successful. This family-friendly experience will feature up over 58 independent vendors selling all sorts of food, merchandise, and art. Small-scale cultural performances and concerts that celebrate the rich cultural diversity and heritage of NYC and Queens specifically will also take place. This year, the market will open an hour earlier than the previous years, starting at 5 pm every Saturday as of April 20. The two weekends in April will be sneak preview nights, with tickets already on sale for them at $5 (children under 12 are free). Another huge perk about the event this year is that the partition around the beer and wine garden will be gone, and patrons over 21 will be permitted to consume alcohol throughout the entire event grounds. This grassroots phenomenon has turned into an NYC must see and we’re expecting big things from the Queens Night Market from here on out. This year they even expect to put out various media projects including a cookbook anthology featuring stories and recipes from immigrant food vendors participating in the event. Some of the vendors you can expect to see include The Malaysian Project, Arepalicious, C Bao, Seoul Pancake, Sunflower Kitchen, and Berg’s Pastrami. When: Saturdays from April 20-August 17, 5 p.m.-12 a.m.